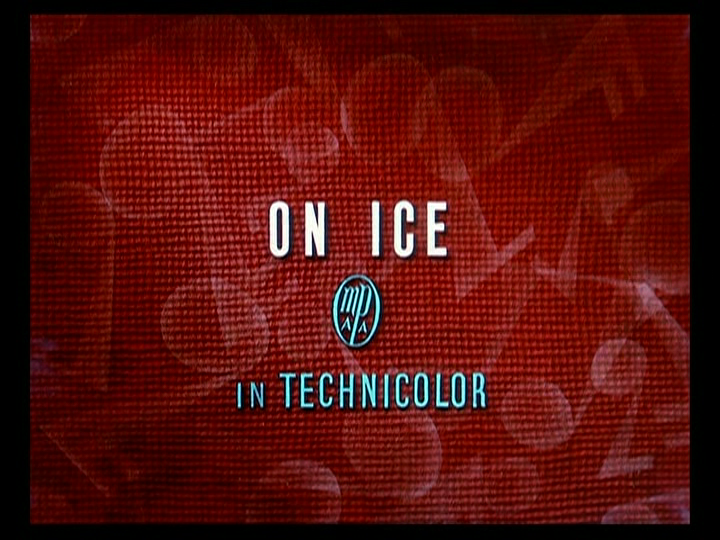 On September 28, 1935, the Mickey Mouse short film On Ice was released to theaters. Clarabelle Cow and Horace Horsecollar make a brief appearance at the beginning of this short; Goofy also sings a snippet of his theme song, “The World Owes Me a Living.” It was directed by Ben Sharpsteen. Everyone is skating at the nearby frozen river, and as Minnie and Mickey skate together, Mickey keeps a pillow ready for Minnie, as she keeps falling. Mickey then shows off for Minnie, although she warns him to be careful as he trips on a barrel and falls through the ice, but he is able to laugh off the incident. Goofy finds a spot on the river to go ice fishing, using chewing tobacco as bait. The fish chew the tobacco, and as they jump to spit in the spittoon, he attempts to club them. Unfortuantely, one of the fish takes his club and clubs Goofy. Donald, meanwhile is skating along, when he spies Pluto sleeping on the bank. He decides to play a prank on the dog by placing ice skates on his feet. He then hides and makes cat noises, waking Pluto and sending him flying out on the ice, only to slip and fall thanks to the skates. 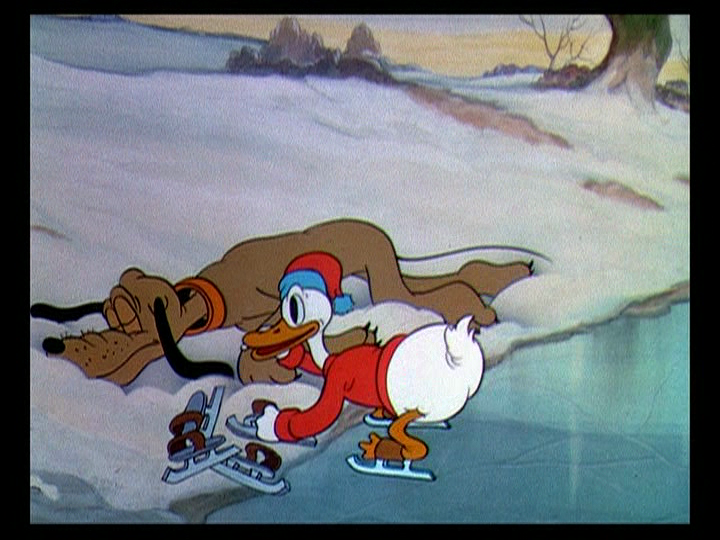 Donald laughs at Pluto’s misfortune, but Pluto endeavors to master the skates. At one point, Pluto sneezes hard enough to send himself flying into the campfire on the bank, and puts his end into a hole in the ice to cool down. When he removes his tail, he finds that it is completely frozen, and starts chasing it. Donald attaches himself to a kite and skates around Pluto, mocking him, when a strong wind picks up and sends Donald flying down the pond, and he cries out for help. Mickey spots Donald heading towards a waterfall, and races to save the duck. Mickey is pulled off the ice and scrambles to return to shore, but loses Donald, who sails back into the river and straight into the hole where Goofy is waiting to club fish. Goofy apologizes, stating that he thought Donald was a fish, and Donald angrily yells at Goofy and Pluto, who barks at the duck’s misfortune. Posted in Uncategorized and tagged 1930s, Color, Donald Duck, Goofy, Mickey Mouse, Pluto, Short film. Bookmark the permalink.